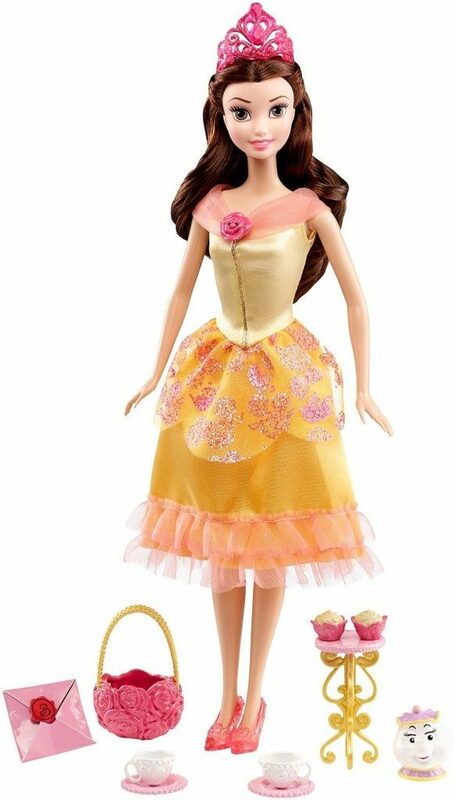 Disney Princess Royal Celebrations Belle Doll Just $6.95 (Reg. $17)! You are here: Home / Great Deals / Amazon Deals / Disney Princess Royal Celebrations Belle Doll Just $6.95 (Reg. $17)! Head to Amazon to order the Disney Princess Royal Celebrations Belle Doll Just $6.95 (Reg. $17)! This Add-on Item ships on qualifying orders of $25+. Belle doll wears a beautiful, festive dress in her iconic colors, and the associated avatar in the Disney Princess Royal Celebrations app will also adorn a look-alike dress once the Premium Content is purchased or unlocked! Also comes with fun invite plus party and story-themed accessories that become stamps within the app that you can decorate your digital invitation with! Disney Princess Royal Celebration Belle Doll extends playtime into the digital world!